I took the afternoon off work today because I was feeling terrible. I accidentally took a Centrum multi-vitamin without eating anything. Then proceeded to throw up and have other stomach issues. 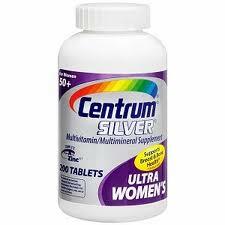 If you're wondering why I have a picture of the Silver vitamins, yes, I bought the kind for women over 50.